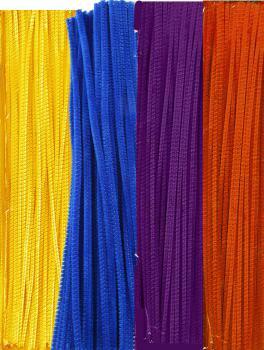 Pipe cleaner set: 150 stems that are 6mm x 12". 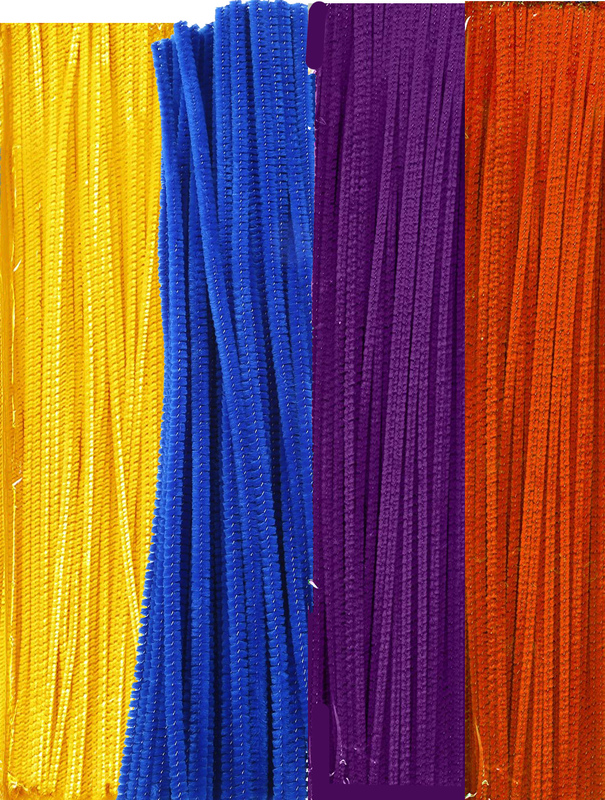 Colors include: yellow, purple, orange, blue. Quantities of each color may vary.